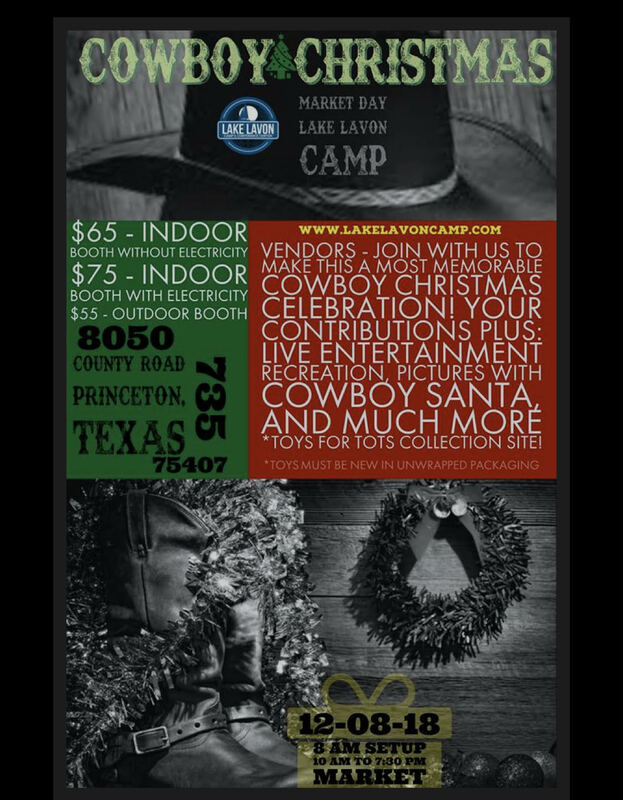 "140+ Booths filled with unique gift and hand made items." 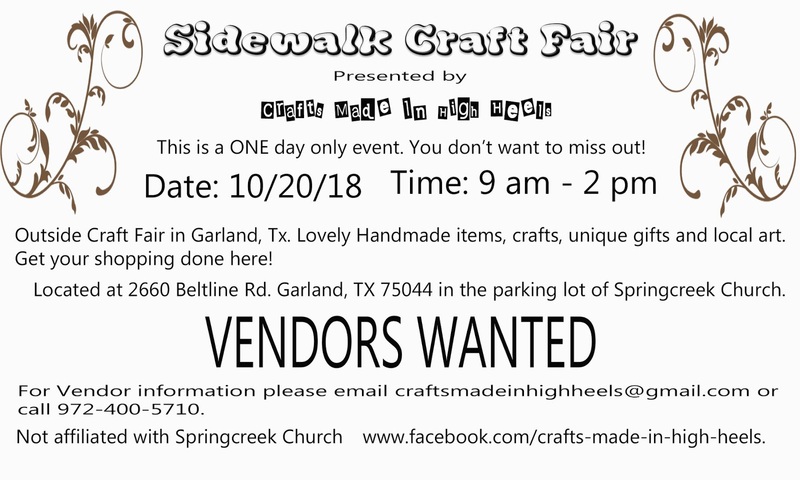 For more information, contact their event coordinator at sangercraftshow@gmail.com / text at 940-206-0007. "9th Annual Extravaganza! 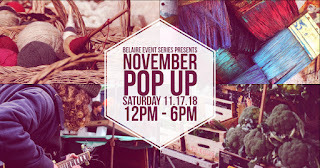 A community wide event featuring art, clothing, home decor & much more!" 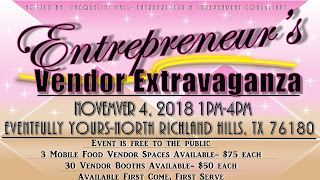 "Networking opportunity for vendors to display your business and services to the community and business community." 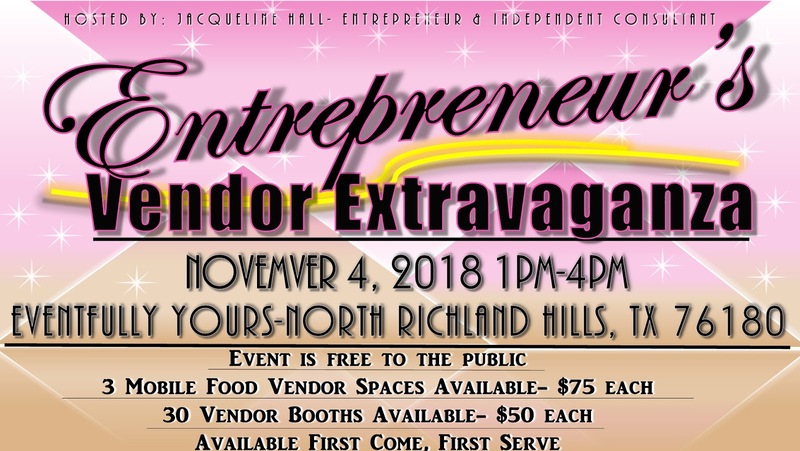 "Check out our trendy crafters, boutiques, and vendor shoppes at this indoor shopping extravaganza! Find the perfect outfit for your holiday events, or a unique gift for someone special on your list! 🎄 🎅🏼 🎁 #ShopSmall"
For more information, visit their website or contact their event coordinator at RockwallHometownMarket@gmail.com. Applications are available here and are due by November 5th. For more information, visit their website or contact their event coordinator at teresa.federspiel@gmail.com. 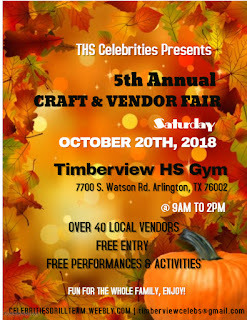 "The 24th Annual Lewisville High School Baseball Booster Club Craft Show is being held Saturday, October 27, 2018. Free Admission. 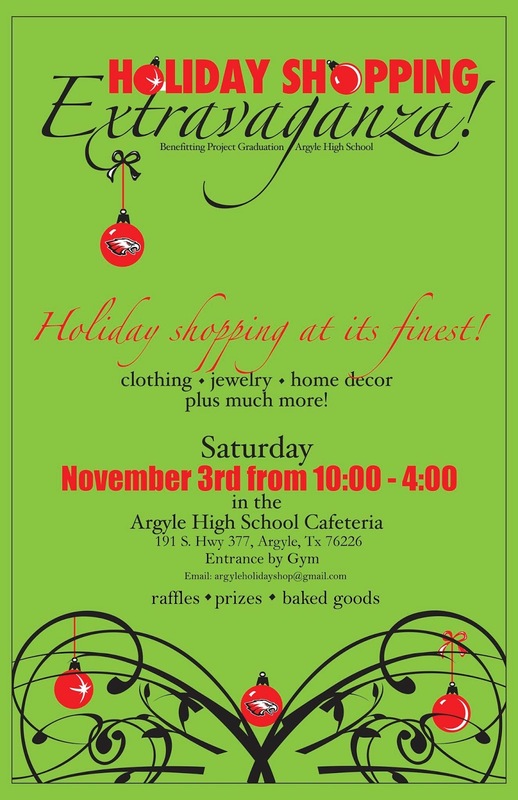 The Lewisville High School cafeteria and halls are filled with arts and crafts, retail, and raffle items. 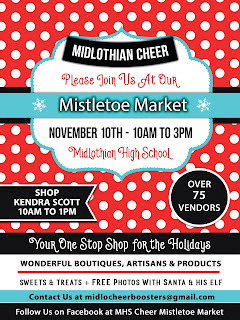 Come enjoy the day 9AM-4PM and star your holiday shopping with us! 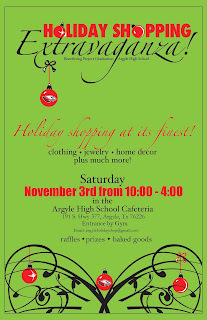 Proceeds from this event benefit the Lewisville High School baseball program." Couch Elementary PTA Fall Festival "Come enjoy fall with Couch Elementary! Games, Silent Auction, Cake Walk, Concessions and a Costume Contest! We will have vendors and Kona Ica will also be there! Come show support for your school!" October 26, 2018 6:00PM - 8:00PM Couch Elementary 4349 Waterhouse Blvd Garland, TX 75043 Admission Fee: $7.00 admission, which includes games, face painting and costume contests. Some activities $1 extra. Food is also extra. 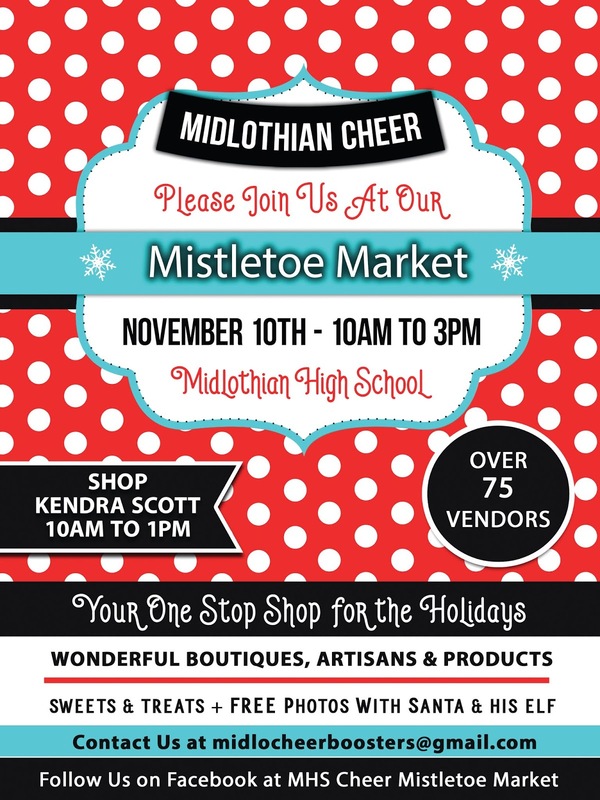 "Come do some holiday shopping and meet/take photos with the Miss Plano Frisco Titleholders! Admission is free but consideration of a donation for Children's Miracle Network is appreciated." Applications are available here and are due by November 09, 2018. 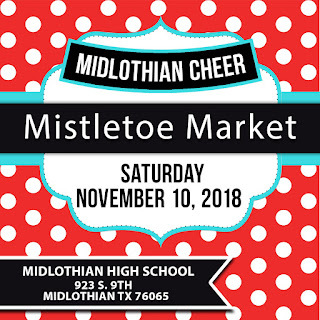 For more information, contact their event coordinator at missplanofrisco@gmail.com / 940-368-7523. "Pop Up Market in Hurst (HEB) featuring local artists, makers, music, and food!" Booths are 10 X 10 and cost $35. For more information, visit their website, Facebook Page, or contact their event coordinator at belaireeventshurst@gmail.com. 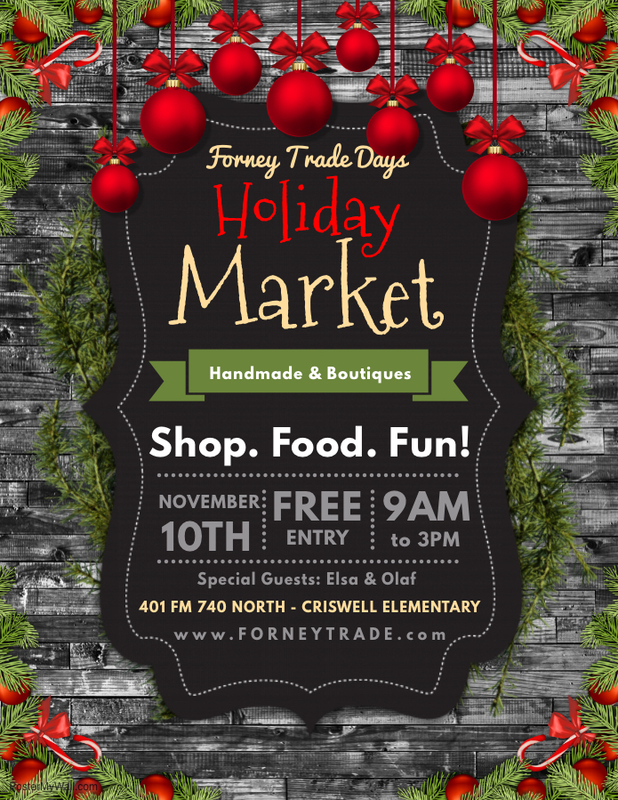 "Get your Christmas shopping done with a variety of home-based businesses and independent crafters, also Becerra's Tamales will be selling their delicious tamales and salsa!" Booths are 8 X 10 and cost $50. This fee includes chairs, electricity and lunch provided. Applications are available here and are due by November 01, 2018. For more information, visit their website or contact their event coordinator at joeandy9800@yahoo.com / 214-287-1450. Holidays can be such a scary time for families trying to safely navigate their lives through food allergies, especially Halloween. That's why the Teal Pumpkin Project is so near and dear to my heart. Today, I put together a few non-food Halloween treat ideas to show y'all that participating in the Teal Pumpkin Project does not have to be expensive or time consuming! Each year I buy a few new items to get in the Halloween spirit, and I mix those with our current selection. One of the great things about non-food treats is being able to stash the leftovers for next year. Unlike leftover candy, your extra teal pumpkin goodies will not negatively affect your waistline or catch shade from Barbara in accounting when she notices you eating them... again. (Really, Barbara?). After Halloween, I hit the clearance aisles to replenish. Not only do I have food allergy-friendly treats, but I have a fun variety to expand to year after year. Glow Sticks! The gift your kids will love to use right away. These are perfect for Halloween night and help visibility as an added safety bonus. Amazon has all sorts of things that will illuminate your night, from bugs (uh, cool!?) to finger flashlights and flashing LED rings, so there's no excuse to stay in the dark on this one. Washi tape. This one might seem weird, but I swear it is my daughter's FAVORITE thing. She uses it to decorate gifts, cards, drawings, me, her brother, the Kleenex box... Everything gets an extra special arts and crafts touch around here. Which brings us to Stickers. I've yet to meet a kid that didn't love them. My daughter hordes them, and my son eats them. (Okay, maybe he's not the best example.) These vinyl stickers are awesome because kids young and old can use them to decorate their art, devices, school supplies, folders etc. Round out your Halloween arts & crafts offerings with these Halloween Stamps. Of course, it doesn't have to be Halloween related... any themed stamps are super exciting when it's time to sit down and get creative. Halloween themed goodies abound, and you can find some great variety packs to start our your Teal Pumpkin collection in a fun and affordable way. This Variety Pack features Halloween rubber duckies, and Variety Pack 2 has everything from vampire fangs to fake fingers. Animal Erasers are another favorite around here. My daughter loves to take apart and put together these puzzle erasers. She collects every one she can find and does some great imaginative play with them. Do not give these to the wee little ones though... they are choking hazards for sure. If your kids are handing out candy and treats, what about letting them set up a little temporary tattoo stand at the front door? There's a million different designs to choose from, and it only takes about 15 - 30 seconds to apply. Use a spray bottle and have a couple of towels on hand--they are sure to have a blast! No treat box is complete without something sticky and weird. So might I suggest the Sticky Hands? Now, I know what you're thinking. "But, Tania, I don't really like hands. Is there something else that's sticky and fun?" Oh boy, Barbara. You bet your bottom dollar there is. All the items above and MORE can be found in one convenient location on my Teal Pumpkin Treat List on Amazon. Tip: For the youngest of youngsters, consider handing toys directly to them/their parents or ask mom and dad to choose. That way you don't have to experience the joys that are a toddler spurned when they accidentally pick something out that is not age appropriate. A word of caution: avoid non food gifts that may contain food ingredients such as Play Doh, Slime, Crayons, etc. There are lots of "Top 8 Allergen Friendly" candies out there that you can have on hand, but please be aware that many children are allergic to foods outside of the Top 8 and would not be able to enjoy these "allergen friendly treats." Having first hand experience with kiddos who don't play by the "popular" food allergy rules, I like to skip the food treats all together--that way everyone can enjoy a little holiday treat on Halloween. To everyone who has taken the time to read this, buy food allergy safe treats, and slap a teal pumpkin out front—I want you to know the magnitude of what you’re doing. That teal pumpkin on your porch is like a beacon of light in the dark, dark seas of food allergies. This one small gesture of inclusion means everything to a parent and child who are trying their best to just have one “normal” holiday experience. Thank you for thinking of our families. I will continue to add to this list as Halloween approaches, so check back and share with your friends! 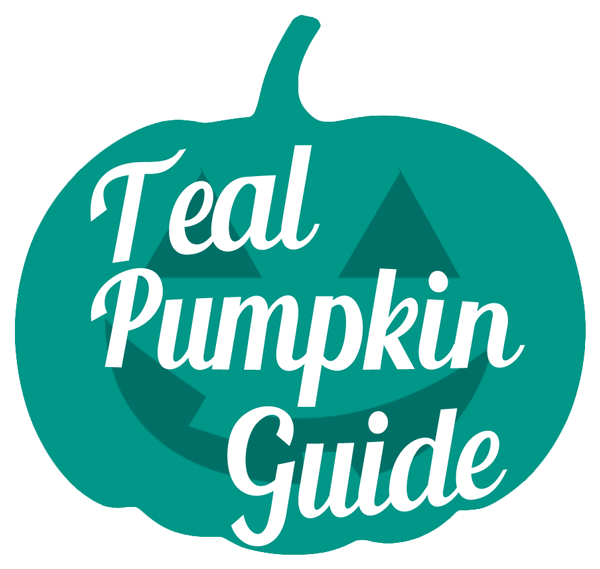 And don't forget to add your house to the Teal Pumpkin Project Map! Links included above are affiliate links and may support DFWCS at no additional cost to you. DFWCS participates in the Amazon affiliate program, but DFWCS is in no way associated with Amazon or the items above. "This is our 15th year for our craft sale. We have a variety of items that are handmade that make wonderful birthday and/or Christmas gifts. We also have wonderful Christmas decorations and many more items for the home. Our event is well attended and we hope you will come and enjoy shopping with us." On the corner of W. Pleasant Ridge Rd. and Perkins Rd. For more information, contact their event coordinator at baharrell@tx.rr.com / 817-229-1796. 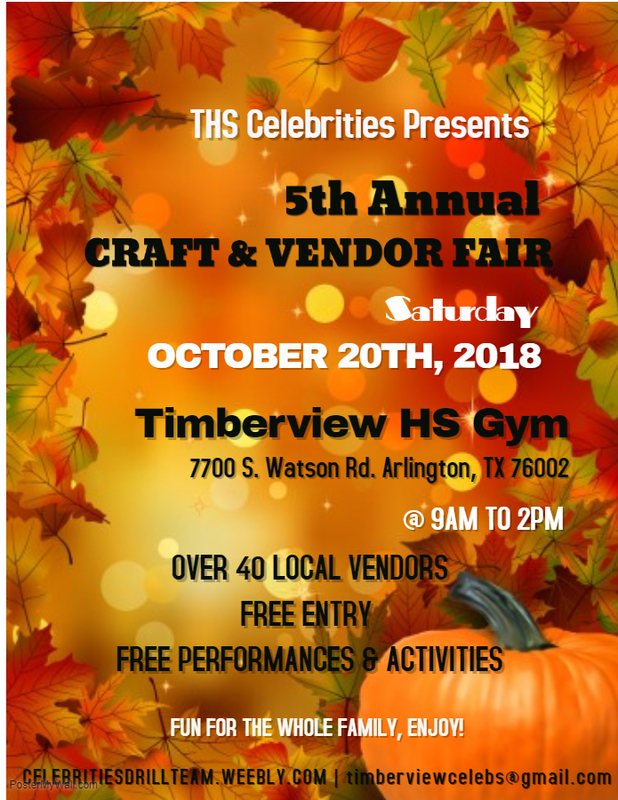 "Downing Middle School PTA Vendor Fair & Craft Show- will have vendors with homemade goods as well as direct sales consultant booths and more!" Applications are available here and are due by October 13th, 2018 October 21st, 2018. For more information, visit their website or contact their event coordinator at vicepreswaysandmeans@gmail.com. "Direct Sales such as LulaRoe,Scentsy, Lipsence, Younique and Usborrne Books,along with small business crafters in jewelry, wood, skin care, and home decor seasonal items." Applications are available here and are due by October 20, 2018. For more information, contact their event coordinator at jkish511@gmail.com / 817- 455- 2905. "Join us on October 13, 2018 from 9 a.m. thru 5 p.m. to shop for your favorite birthday gifts, Christmas gifts, and/or something special for yourself. You'll find many hand-made items as well as cosmetics, scents, etc. 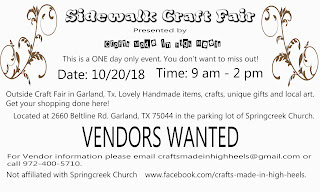 This is our fifth Craft Fair in three years, and we have had many returning vendors. You'll also note that we are extending the time of our event from 5 hours to 8 hours, giving you all day to shop! We look forward to seeing you there!" "ALC Marketplace and Craft Fair will feature booths from local consultants, vendors and handmade products." "Vintage Market Days® - So. 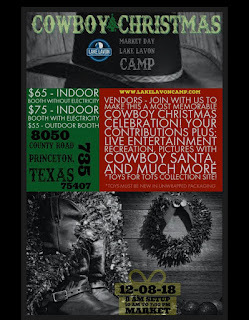 Central Texas is an upscale vintage-inspired indoor/outdoor market featuring original art, antiques, clothing, jewelry, handmade treasures, home décor, outdoor furnishings, consumable yummies, seasonal plantings and a little more." 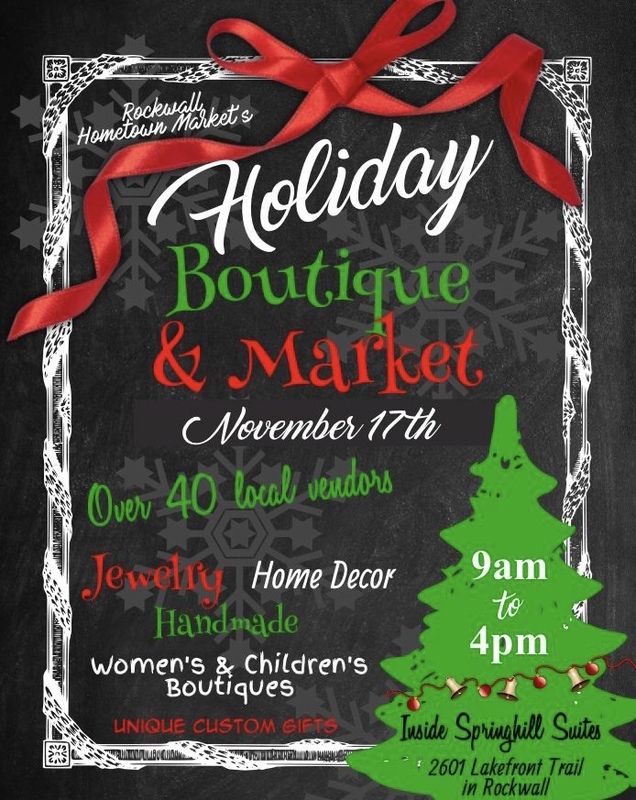 "Holiday Bazaar with a Variety of Vendors, Handmade Crafts, Food Items, Jewlery, Candles, and so much more "
"Fun for the whole family. Games, Bounce Houses, Food and Craft Vendors!" 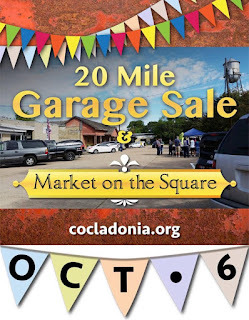 "20 Mile Garage Sale & Market on the Square! Participating areas are Ladonia, Pecan Gap, Bug Tussle, Dial and Ben Franklin - Approximately one hour from Dallas and about that far from Texoma! 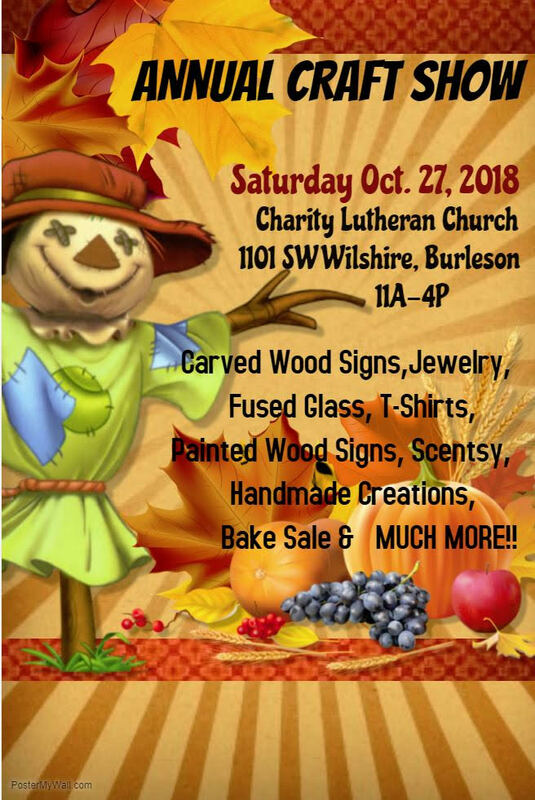 For handcrafted items including jewelry, art, crafty stuff, junk, antiques, baked goods, food, collector items, and more, come out and spend the day with us and find the awesome goods available to everyone! Shop at local garage sales and come to the square to visit our vendors! We are looking forward to a great turnout. See you soon!" "Annual Fall convention for chorus/quartet competition for the five-state Southwestern District"
Admission Fee: Vendor's area is free. Convention registration is $75. "Start getting ready for the holidays early by shopping our craft sale & vendor expo in its 10th year! This is a FREE, family friendly event!" 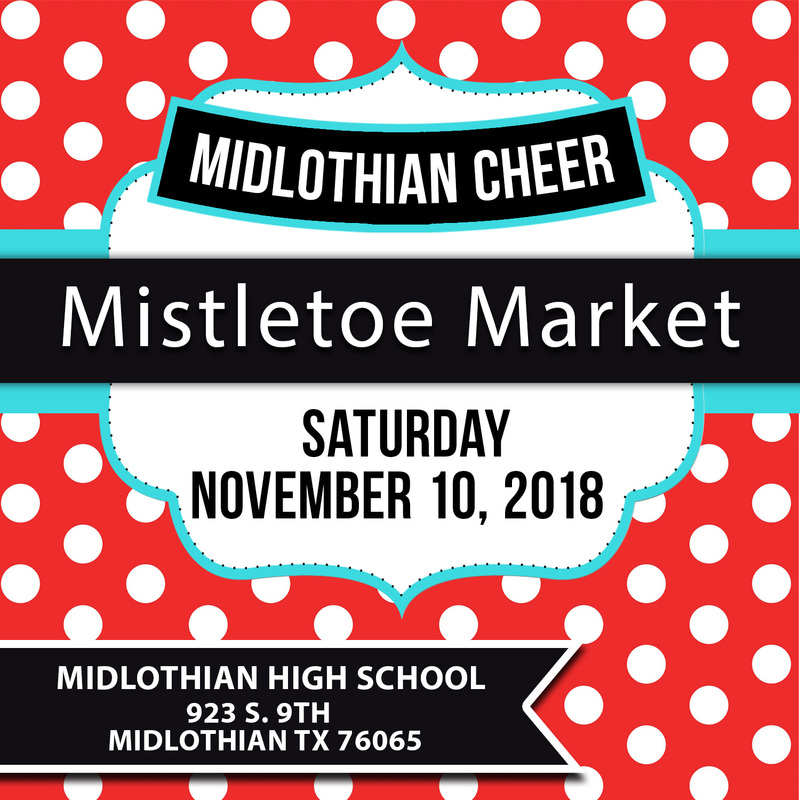 For more information, visit their website, Facebook, or contact their event coordinator at jjustice@weatherfordisd.com. 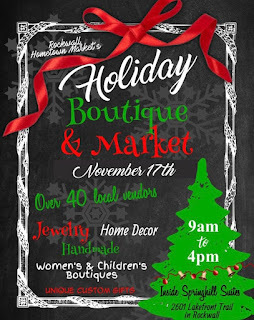 "Come do some early Christmas shopping at our Holiday in the Park event! It's a big Christams festival outdoors in Arcadia Park." Applications are available here and are due by November 24th, 2018. For more information, visit their website or contact their event coordinator at pgnanewsletter@gmail.com. Booths are 10 X 10 and cost $50. No tables or chairs provided. Electricity is $10. Only 1 representative per DSL company permitted. This fee includes aendors Lounge providing drinks, snacks. Applications are available here (along with guidelines here) and are due by November 16, 2018. Please make all checks payable to: "Tarleton Staff Council." For more information, visit their website or contact their event coordinator at rowe@tarleton.edu. 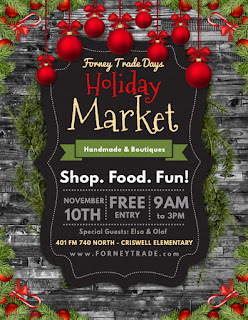 "Numerous vendors with regular and holiday items and home baked goods. Chocolates, candies, jewelry, art, etc. It's all here in an easy open indoor area for shopping. Come check off your Christmas list!" Booths are 8 X 10 and cost $50. This includes table, chairs, electricity, free coffee/water. Applications are available here (along with contract) and are due by November 07, 2018. For more information, contact their event coordinator at office@fumcgarland.org / Jamie at 214-679-7180.